In the interaction with former and past employees, Gandhi had accused the Modi government of destroying the HAL and told its employees that Rafale is their right. 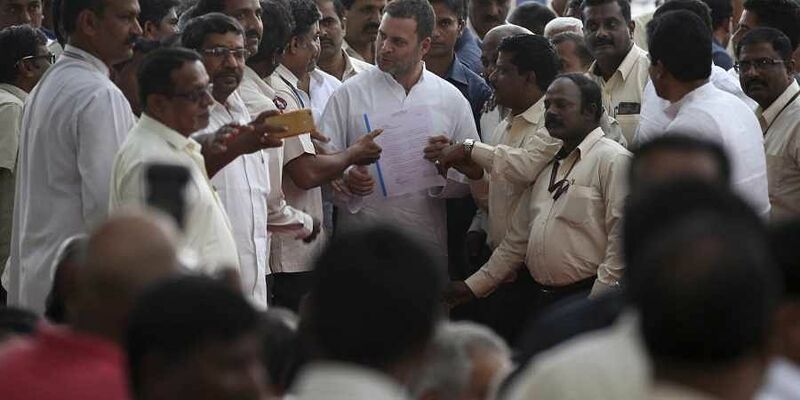 BENGALURU: Against the backdrop of Congress President Rahul Gandhi's interaction with present and past employees of HAL on the Rafale deal, the state-run aerospace company Saturday regretted 'politicisation' of its employees and termed it as a fad and regrettable development that would be detrimental to national security and the organisation. An official from the agency told PTI that the NDA government has extended full-fledged support (to HAL), having placed supply orders of over Rs 27,340 crore during the 2014-18 period by recognising its premier position. Towards improvement and upgradation of infrastructure, including ramping up of production facilities, funding to the tune of Rs 7,800 crore was sanctioned during the period, it said. The official also said HAL enjoys pride of place in the defence and aerospace industry sector and has made an immense contribution to the nation-building process. "Today's attempt at politicisation of the employees is a fad and regrettable development and will be detrimental to the interest of the organisation, its employees as well as national security," the HAL official told PTI in the statement. In the interaction with former and past employees, Gandhi had accused the Modi government of destroying the country's "strategic asset" in form of HAL and told its employees that Rafale is their right. All these organizations have unions affliated to one party or another. It's not a surprise.